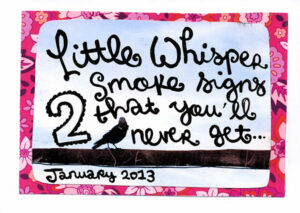 8 page 1/4 sized perzine on pink paper. About that time Ernest Hemingway's heirs sent me a cease and desist for drawing his face. 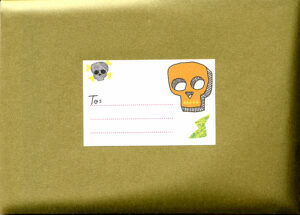 Note for customers outside the UK- you can fit three zines in one flat rate envelope. 18 page 1/4 sized perzine on pink paper. One long essay about various things. Do actuaries secretly rule the world? 36 page 1/4 sized perzine on pink paper About failing to study at Oxbridge, and then the miserable experience of working there. How do you continue a system of closed doors and in-group privilege (and keep the riff-raff like you and me out) in a tertiary education system where all universities are public and charge the same tuition? 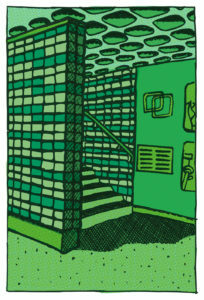 "Oxford is the city of closed doors"
36 page 1/4 sized perzine on green paper + mini colour zine A split zine about a last-minute to holiday to Croatia this summer, and then a work trip to Slovenia two weeks later. 24 page 1/6 sized mini perzine on yellow paper Made for the 24 hour zine project in October 2017- all pages written and laid out in one day. 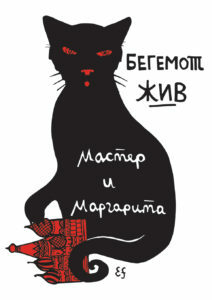 About moving house, and dreaming of Siberia. 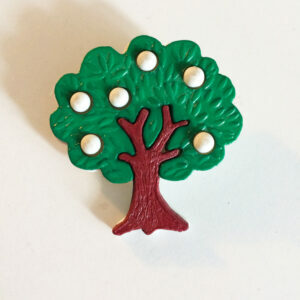 Vintage tree badge from the 1970s with standard pin back. Measures 4x4 cm (1.5"). 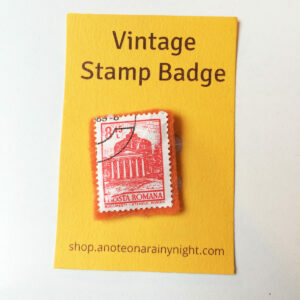 Vintage mushroom badge from the 1970s with standard pin back. 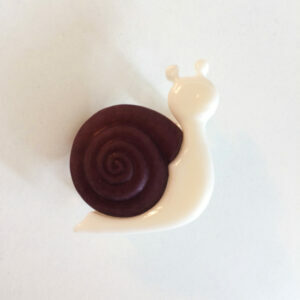 Measures 2.5 x 3 cm (1 x 1.5"). 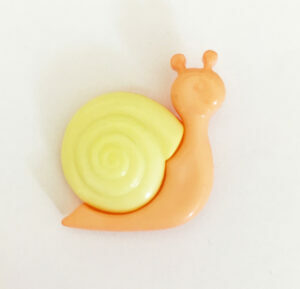 Vintage snail badge from the 1970s with standard pin back. 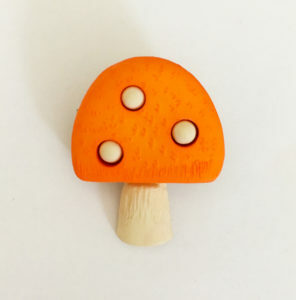 Measures 3x4 cm (1x1.5"). 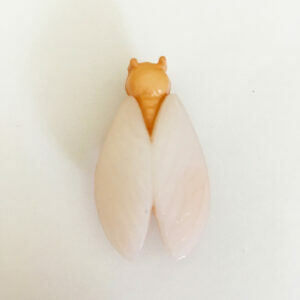 Vintage moth badge from the 1970s with standard pin back. 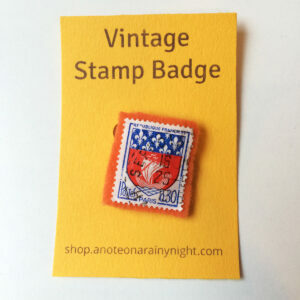 Measures 2.5x4 cm (1x1.5"). 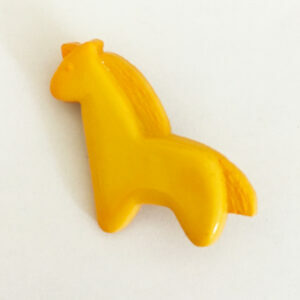 Vintage mustard yellow horse badge from the 1970s with standard pin back. 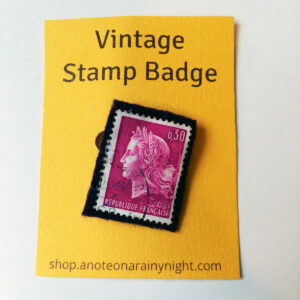 Measures 3x3cm (1x1.5"). A golden envelope with mystery treats in. Posted separately within the UK, and with the rest of the order outside the UK. 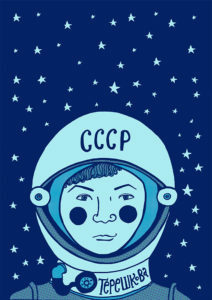 Illustration of Valentina Tereshkova 21 x 29.7 cm (8.3 x 11.7 in) with white border Giclée print on Canson Infinity Museum Rag paper. Sent rolled in postal tube. 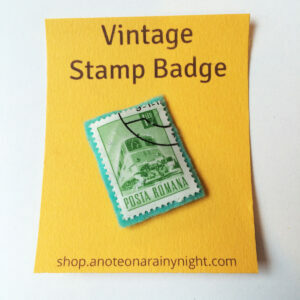 Badge made of a varnished vintage stamp from Romania on a felt back with a brooch fastener. One of a kind. 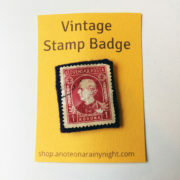 Badge made of a varnished vintage stamp from France on a felt back with a brooch fastener. One of a kind. 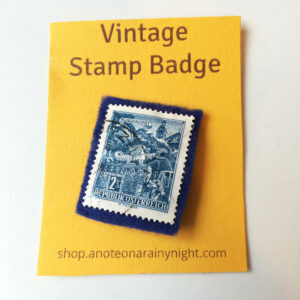 Badge made of a varnished vintage stamp from Austria on a felt back with a brooch fastener. One of a kind. You get two zines- one a zine of essays about Diana Wynne Jones's books, the other about my trip to Japan and the Studio Ghibli museum, and a print inspired by Fire and Hemlock. (All items also available separately). 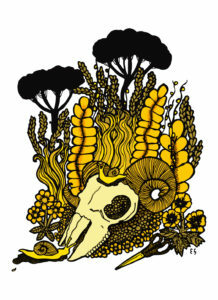 Print: Illustration of Diana Wynne Jones' book Fire and Hemlock. 20 x 20 cm (7 7/8 x 7 7/8 in) borderless Giclée print on Canson Infinity Museum Rag paper. Sent rolled in postal tube. 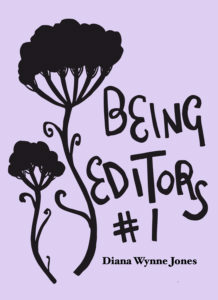 Zines: Being Editors 1: 40 page 1/4 sized zine on purple paper. Sent flat in a separate envelope. A selection of essays about children's author Diana Wynne Jones. 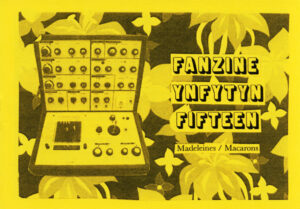 Japan zines: I won a trip to Japan. 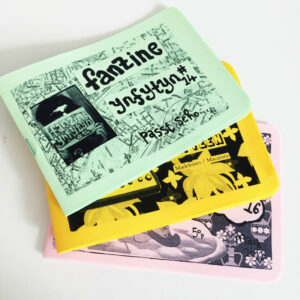 32 page ¼ sized zine on pink paper. Comes with free 12 page mini photo zine. Two different zines teaching you skills 1) 24 page 1/4 sized perzine on yellow paper about keeping your place nice with low effort. 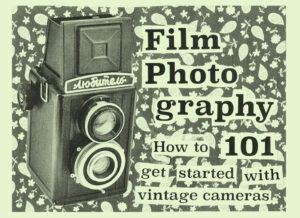 2) 24 page 1/4 sized perzine on green paper teaching you all the basics of film photography in a friendly jargon-free way. 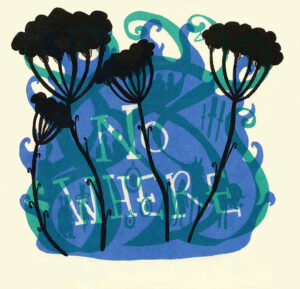 You get a zine of essays about Diana Wynne Jones's books, and a print inspired by Fire and Hemlock. (Both also available separately). Print: Illustration of Diana Wynne Jones' book Fire and Hemlock. 20 x 20 cm (7 7/8 x 7 7/8 in) borderless Giclée print on Canson Infinity Museum Rag paper. Sent rolled in postal tube. Zine: 40 page 1/4 sized zine on purple paper. Sent flat in a separate envelope. A selection of essays about children's author Diana Wynne Jones. 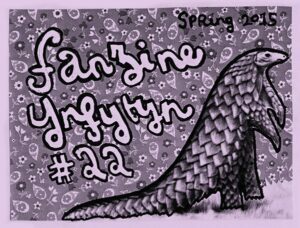 40 page 1/4 sized zine on purple paper A selection of essays about children's author Diana Wynne Jones.